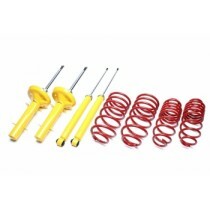 This TA Technix sport suspension kit is for the Renault 19 type B/C53 / L53 / D53 / X53. This TA Technix sport suspension kit is for the Renault 5 type B/C40. This TA Technix sport suspension kit is for the Renault Laguna Grandtour type K56.